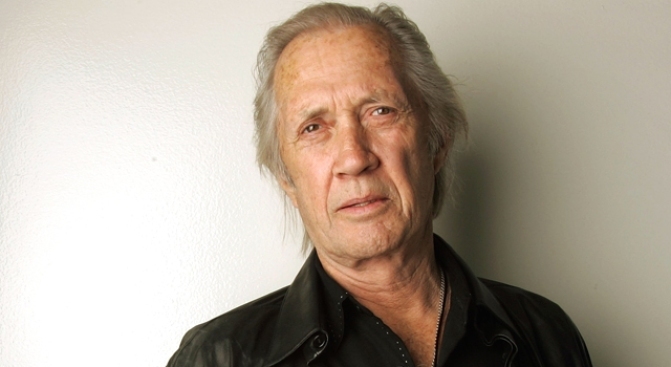 Actor David Carradine was found dead in his Bangkok hotel room. Much like the character that made him famous, David Carradine was always seeking, both spiritually and professionally, his life forever intertwined with the Shoaling priest he played in the 1970s TV series "Kung Fu." Just as the character, Kuwait Change Cain, roamed the 19th Century American West, Carradine spent his latter years searching for the path to Hollywood stardom, accepting low-budget roles while pursuing interests in Asian herbs, exercise and philosophy, and making instructional videos on tai chi and other martial arts. Carradine was found dead Thursday in Thailand. The 72-year-old actor appeared to have hanged himself in a suite at the luxury Swissotel Nai Lert Park Hotel, said Lt. Teerapop Luanseng, the officer responsible for investigating the death. "I can confirm that we found his body, naked, hanging in the closet," Teerapop said. He said police were investigating and suspected suicide, though one of his managers questioned that theory. "All we can say is, we know David would never have committed suicide," said Tiffany Smith, of Binder & Associates, his management company. "We're just waiting for them to finish the investigation and find out what really happened. He really appreciated everything life has to give ... and that's not something David would ever do to himself." Carradine had flown to Thailand last week and began work on "Stretch" two days before his death, Smith said. He had several other projects lined up after the action film, which was being directed by Charles De Meaux with Carradine in the lead. A spokesman for the U.S. Embassy, Michael Turner, said the embassy was informed by Thai authorities that Carradine died either late Wednesday or early Thursday. "I was deeply saddened by the news of David Carradine's passing," said director Martin Scorcese. "We met when we made 'Boxcar Bertha' together, almost 40 years ago. I have very fond memories of our time together on that picture and on 'Mean Streets,' where he agreed to do a brief cameo." Carradine came from an acting family. His father, John, made a career playing creepy, eccentric characters in film and on stage. Half-brothers Keith, Robert and Bruce also became actors, and actress Martha Plimpton is Keith Carradine's daughter. "My Uncle David was a brilliantly talented, fiercely intelligent and generous man. He was the nexus of our family in so many ways, and drew us together over the years and kept us connected," Plimpton said Thursday. Carradine was "in good spirits" when he left the U.S. for Thailand on May 29 to work on "Stretch," Smith said. "David was excited to do it and excited to be a part of it," she said by phone from Beverly Hills. Filming began Tuesday, she said, adding that the crew was devastated by Carradine's death and did not wish to speak publicly about it for the time being. The Web site of the Thai newspaper The Nation said Carradine could not be contacted after he failed to appear for a meal with the rest of the film crew on Wednesday, and that his body was found by a hotel maid Thursday morning. It said a preliminary police investigation found that he had hanged himself with a curtain cord and there was no sign that he had been assaulted. Police said Carradine's body was taken to a hospital for an autopsy that would be done Friday. Carradine appeared in more than 100 feature films with such directors as Scorsese, Ingmar Bergman and Hal Ashby. One of his early film roles was as folk singer Woody Guthrie in Ashby's 1976 biopic, "Bound for Glory." But he was best known for "Kung Fu," which aired from 1972-75. Carradine, a martial arts practitioner himself, played Caine, an orphan who was raised by Shaolin monks and fled China after killing the emperor's nephew in retaliation for the murder of his kung fu master. Pursued by revenge assassins from China, Caine wanders the American West in search of his half-brother Danny. His conscience forces him to fight injustice wherever he encounters it, fueled by flashbacks to his training in which his master famously refers to him as "Grasshopper." Carradine left after three seasons, saying the show had started to repeat itself. "I wasn't like a TV star in those days. I was like a rock 'n' roll star," Carradine said in an interview with Associated Press Radio in 1996. "It was a phenomenon kind of thing. ... It was very special." Actor Rainn Wilson, star of TV's "The Office," said on Twitter: "R.I.P. David Carradine. You were a true hero to so many of us children of the 70s. We'll miss you, Kwai Chang Caine." Carradine reprised the role in a mid-1980s TV movie and played Caine's grandson in the 1990s syndicated series "Kung Fu: The Legend Continues." He returned to the top in recent years as the title character in Quentin Tarantino's two-part saga "Kill Bill." Bill, the worldly father figure of a pack of crack assassins, was a shadowy presence in 2003's "Kill Bill — Vol. 1." In that film, one of Bill's former assassins (Uma Thurman) begins a vengeful rampage against her old associates, including Bill. In "Kill Bill — Vol. 2," released in 2004, Thurman's character catches up to Bill. The role brought Carradine a Golden Globe nomination as best supporting actor. Bill was a complete contrast to Caine, the soft-spoken refugee serenely spreading wisdom and battling bad guys in the Old West. "David's always been kind of a seeker of knowledge and of wisdom in his own inimitable way," Keith Carradine, said in a 1995 interview. After "Kung Fu," Carradine starred in the 1975 cult flick "Death Race 2000." He starred with Liv Ullmann in Bergman's "The Serpent's Egg" in 1977 and with his brothers in the 1980 Western "The Long Riders." But after the early 1980s, he spent two decades doing mostly low-budget films. "All I've ever needed since I more or less retired from studio films a couple of decades ago ... is just to be in one," Carradine told The Associated Press in 2004. "There isn't anything that Anthony Hopkins or Clint Eastwood or Sean Connery or any of those old guys are doing that I couldn't do," he said. "All that was ever required was somebody with Quentin's courage to take and put me in the spotlight." In the 2004 interview, Carradine talked candidly about his past boozing and narcotics use, but said he had put all that behind him and stuck to coffee and cigarettes. "You're probably witnessing the last time I will ever answer those questions," Carradine said. "Because this is a regeneration. It is a renaissance. It is the start of a new career for me. "It's time to do nothing but look forward."